This is a small death match map by Muggs we didn't have in our archive. This is also the map I was looking for the missing textures. I didn't find them but as they were just all coloured textures (blue red, black etc) I just found similar ones and renamed them. 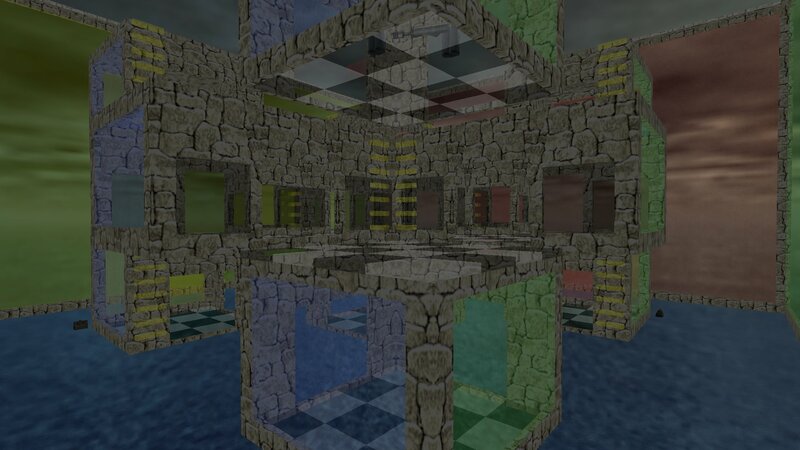 This a smallish box map with three levels of smaller box rooms inside it with the different levels connected by ladders. Most of the walls are translucent or semi-transparent. Each direction of walls are different colours and the floors are checkered black and white. 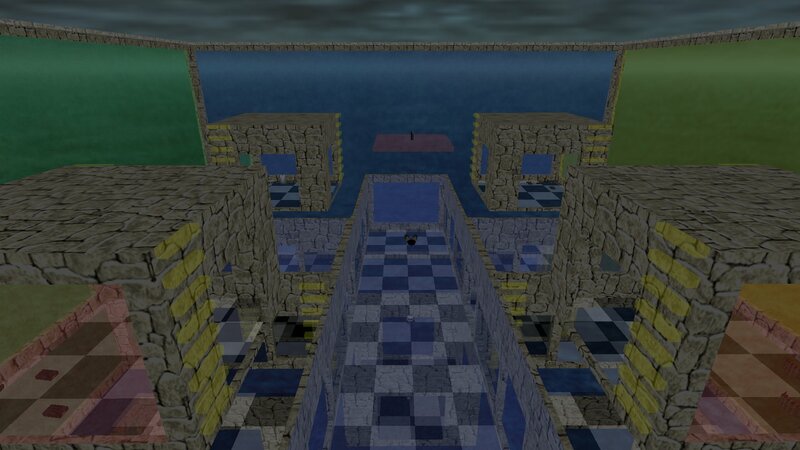 Each little corner box room has a weapon and ammo and the cooling mod is on a little platform at the top of the map. There is one set of armour in the map and four health bags. We played it on the Luschen DM server to see what it layed like and it is a crazy little, fun, map to play. You can download No Where To Hide from here.